Mumbai: Indian edition of the world's biggest toy trade fair, Kids India, will be held here from September 18 and is set to witness participation from over 150 companies including Chicco and Mattel. The exhibition is an attempt by the Rs 8,500 crore Indian toy industry, that was once reeling under competition from cheap Chinese products, to bounce back into children's reckoning with innovative and better designed toys. The three-day exhibition will showcase latest products and technologies, a statement said. 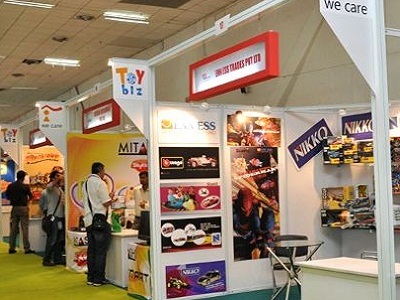 Some of the firms participating include reputed global and Indian names such as Chicco, Mattel, Simba Dickie, Frank Educational Aids, G B Sports, Hilife Marktech, Innisfree Education, Jasco, Min Toy, Pegasus Toykraft and Rachit Enterprises, it added. The fair is organised by Spielwarenmesse eG in cooperation with Indo-German Chamber of Commerce and with the support of the Sports Goods Export Promotion Council and The All India Toy Manufacturers' Association (TAITMA). The Indian toy industry is a major market for both domestic and international players, owing to low penetration (0.5 per cent) as well as growth in the size of the middle class. India's toy industry has a meagre share of 0.51 per cent of the global market. According to a study by industry body Assocham, the size of India's toy industry may touch Rs 13,000 crore by 2015. The Indian toy industry employs approximately 3 million people and holds the potential to increase this number manifold and provide more employment opportunities to India's youth.